Clever cyber criminals are learning new ways to expose vulnerabilities online daily. Keeping current with the latest security best practices is critical if you want to keep your personal data secure. Only visit and download information from trusted websites to avoid many common malware apps. If you stick to what you know and trust you can avoid potentially painful and costly headaches. Mobile devices are just as vulnerable to threats as laptops and desktop computers. Malware has frustrated many mobile users who carelessly surfed the web without following the proper protocols. As mobile adoption rates raise both in and out of the workplace users should beware suspicious emails and other red flags which may indicate phishing scams. Malware designers can spread viruses to your PC, can run up international text message bills and can snag your passwords and personal data unless you are vigilant. Download only apps from the most trusted sources and upload trusted security apps to protect your mobile device from threats. Backing up data is a quick and easy way to protect yourself against online threats. Some particularly ruthless malware authors create ransonware to demand exorbitant sums of money to have the malware removed. If you back up your computer regularly these cyber thieves will have little leveraging power in their scam. Backup critical data regularly to avoid any frustrating situations in the future. Safeguard against savvy hackers by playing it safe. Keep an eye out for malware in disguise to stay safe. Seeing pop up screens and messages can be red flags indicating that you’re under attack. Clever cybercriminals pray that you let your guard down when viewing these notifications. Clicking on these hidden malware links can download rogue applications to your computer. After loading these rogue files your system may become infected with additional malware or hackers may extort you to remove the malware. Never click on a link unless it originates from a trusted source. In all cases you’ll note legitimate antivirus for Mac or PCoriginating from trusted icons on your desktop. Don’t click on any web pop up because no reputable company will use such tactics to win over your business. Browse the web with a wary eye to avoid attacks. Some hackers use black hat SEO or poisoned search results to arouse your curiosity. Popular events like sports championships, elections, a royal birth, the Olympics, celebrity news or the release of a new tech gadget can all be used to lure in unsuspecting individuals. 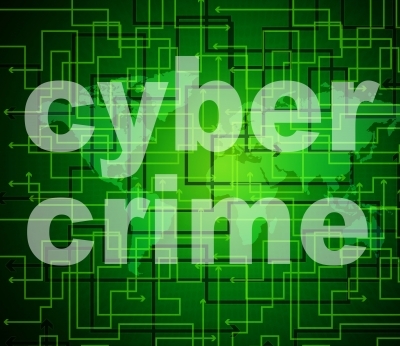 By cruising news and social media sites cyber criminals zero in on potential hot button searches which will net plenty of targeted, interested traffic. Get your news and celebrity updates only from the most trusted sources online. Since threats can make their way to search engines simply cruise the web cautiously and beware what you search online. If you need a news fix bookmark your favorite site and read only from there to stay safe.